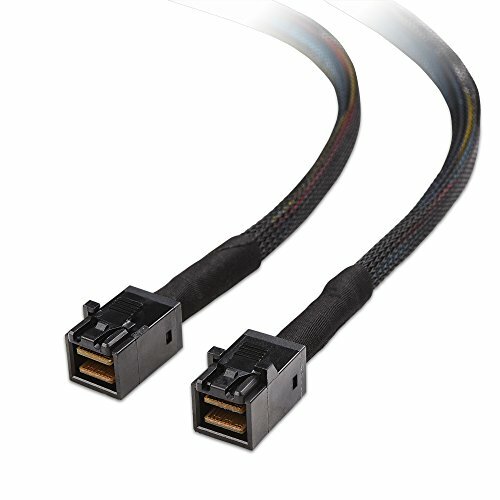 The Cable Matters Internal HD Mini SAS 8643 SAS Cable is an essential component of a hardware RAID configuration or a professional SAN network. The combination of a sturdy cable in a woven mesh sheath with latching internal connectors provides a secure connection and reliable performance. Maximize the capacity of your SAS 3.0 host bus adapter with this sturdy but flexible cable with sidebands that is built to withstand 24/7 use. A lifetime warranty is included with this HD Mini SAS cable for peace of mind when purchasing.